The logo and text is precision-stamped and the surface is highly reflective, giving the stackers a clean uniform look. An anti-forgery swirl pattern on the back adds to the good looks and exclusiveness of this item. Precision machining at its finest. 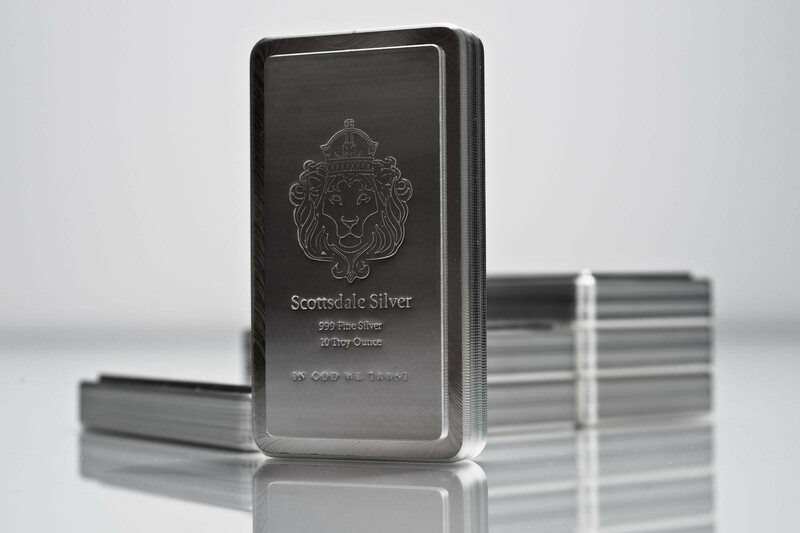 Nicknamed the Stacker, this 10 Troy Ounce bar's beveled, interlocking edges make it easy to create neat rows that will fit perfectly in your deposit box or safe.